After the Diagnosis - I Love ABA! For years I have received emails or phone calls from parents wanting to begin ABA services for their child, and full of more questions than answers. Even for people who know how ABA therapy can help, they usually don’t know how to get started. Most parents who contact me are confused and frustrated, and still dealing with their emotional state after the diagnostic appointment. 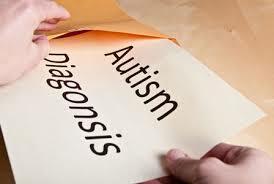 Some parents have told me they wish the Autism diagnosis came with a fact sheet, or road map of what to do next. That would be pretty difficult to do. Autism impacts each child differently, and an Autism diagnosis is somewhat like a gemstone with many different facets and depths to it. There is no “Autism prescription”. The treatment package will vary from one child to the next. I'd also like to add, it's important to not confuse the diagnosis of Autism with a death sentence. There is no need to demonize the diagnosis; it is simply giving you information about how your child's brain works and functions. No professional can tell you that based on a diagnosis your child will never talk, have friends, attend college, etc. Professionals are not prophets, and they cannot predict your child's future. - The first thing you need to do is locate the ABA providers in your area. There may be agencies that send therapists to your home, private Autism schools, or centers where you drop your child off for therapy. If your child is under 3 there should be free Early Intervention services available to you, although early intervention doesn’t always offer ABA. Contact the ABA providers to determine who has availability. It isn’t uncommon to contact an agency and be told there is a long waiting list. This can actually be a positive, because it means the company doesn't have adequate staff to cover cases. Instead of cramming a heavy caseload on their staff, a company will start a waiting list and take the time to hire quality staff. If there are no ABA providers in your area, I suggest starting your own in-home ABA program. Parents will often ask me where to go to find ABA therapists. There is no easy answer to that question. You may need to put up flyers on college campuses, ask other parents for recommendations, or hire non-trained individuals and pay a Consultant to train them. The average hourly rate for an independent ABA therapist is $14-$20/hour. - Lastly, what is most important about beginning ABA therapy is understanding that ABA is a lifestyle change and a commitment. It isn’t something you “kinda sorta” do. You will likely have a team of professionals coming in and out of your home several times each week, and it can be annoying, frustrating, invasive to your privacy, and overwhelming. Its also important to remember: ABA therapy shouldn’t stop because the family moves to a new home, the ABA therapist is sick, the grandparents are visiting for Thanksgiving, or because school starts. When the ABA providers are not working 1:1 with your child, then guess who is now the acting ABA therapist? That’s right, you are. ABA therapy is a commitment, and I can quite honestly say that parents who don’t understand or agree with that commitment do not see the progress they are expecting to see from ABA therapy.